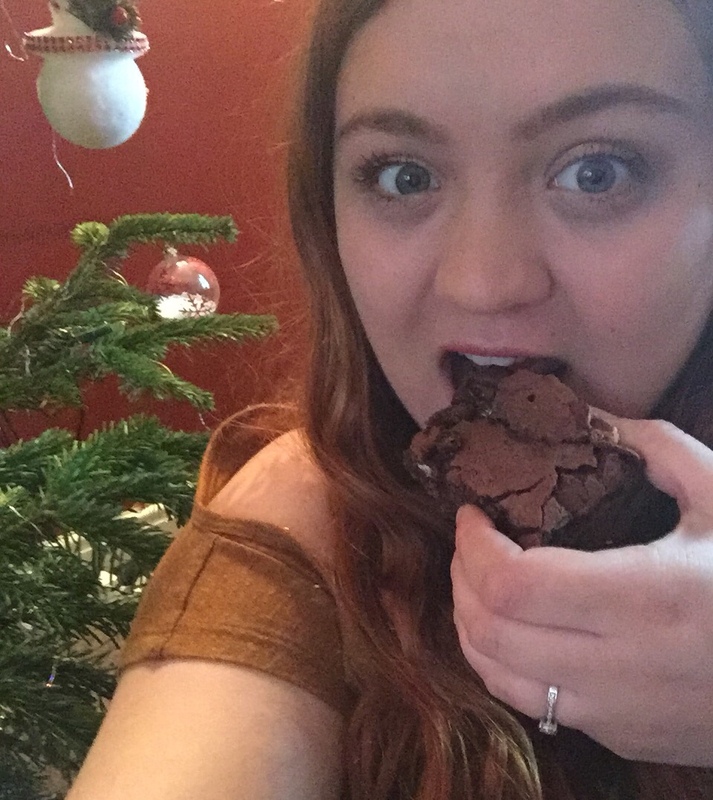 Blogmas 2017 Day 17: Chocolate Orange Brownies! Hello, hello, hello! 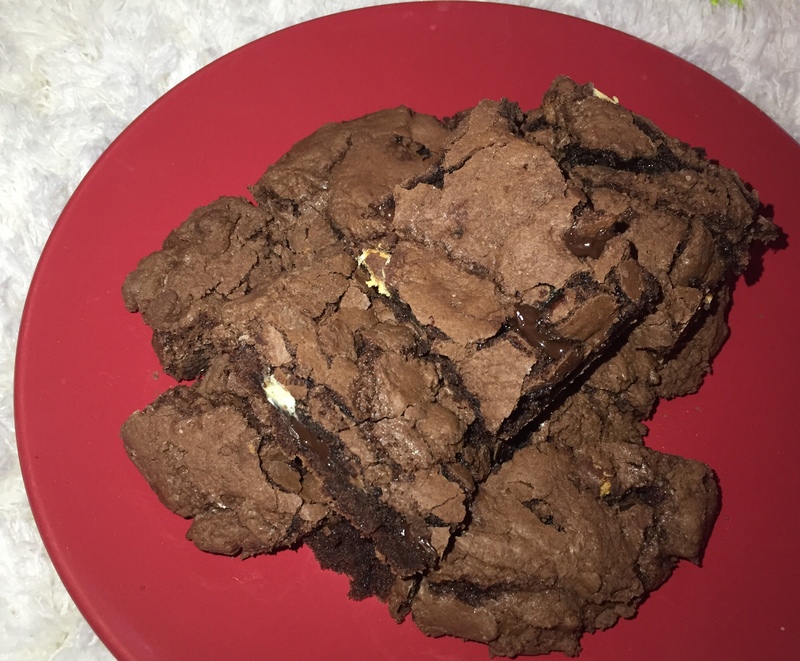 Today I’m going to share with you how I make my chocolate orange brownies. I made these last year and posted a picture on my Instagram, and lot’s of people said that I should write a blogpost on them! So, I’ve waited a WHOLE year to bring you my chocolate orange brownie recipe, adapted from a recipe from BBC Good Food. Put butter, dark chocolate and orange flavouring into a saucepan and melt gently over a low heat. Whisk together eggs and sugar, and add to chocolate mixture. Sift in flour, cocoa powder and Terry’s chocolate orange. Pour into tin, and bake for 45ish minutes (until the top is a little flaky, but the inside is still gooey!). Allow to cool on wire rack. Cut into chunks of size you desire. Sprinkle over some icing sugar (optional) and enjoy your yummy brownies! Easy right?! 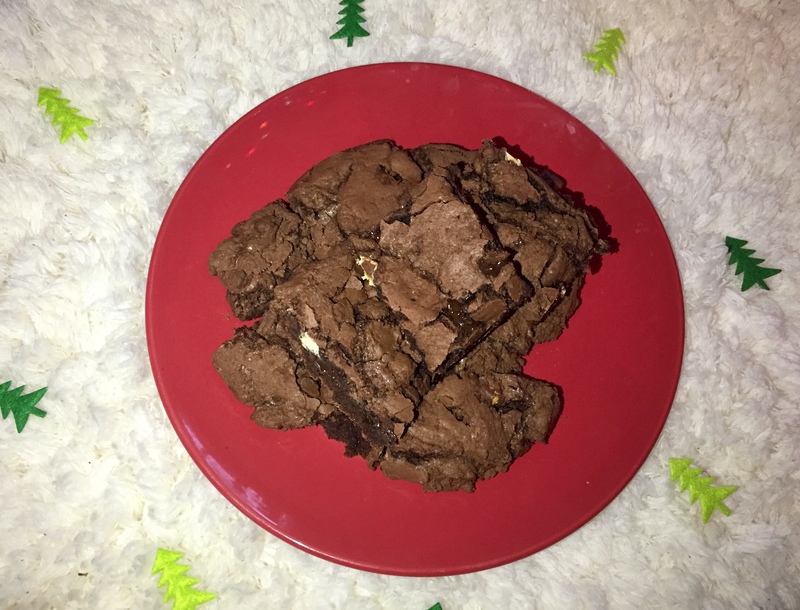 These are my fav for a quick, easy, yummy Christmas treat that takes minimal effort and requires no decoration!